Saturday December 18th will be the last Farmer's Market of 2010 at Bishop Park! Campus Cats will have our monthly booth, but with more items, including homemade dog biscuits, homemade catnip cat toys, tea cup and copper bird feeders, tea cup candles, our own cotton shopping bags and more. It'll be a great way to do your Christmas shopping, and you can be sure to pick up something for the cats and dogs on your list! After an absence of several months while Earth Fare was undergoing remodelling, the donation box for Campus Cats is back! Right now you can find it just inside the entrance, to the left, near the rack that holds community magazines and newspapers, like Critter Magazine. We can always use donations of canned and dry cat food, paper towels, HE laundry detergent, cat toys, and cat litter. While it's fine to occasionally put in items purchased at other stores, Earth Fare allows our box to be there because they hope you will purchase the items from their store for donation. If you have large donations of cat litter, cat food, sheets, towels, old t-shirts, stacks of newspaper, bags of clean plastic shopping bags, cat carriers, etc. please contact Catzip http://catzip.org/czaaboutus.html Someone will even arrange pick it up from your house or place of work. A used school supply drive for the Athens-Clarke County Teacher Reuse "Store" will be up and running from December 3 – December 15. Donations will be accepted at Tate Student Center (location TBD), Jittery Joe's @ 5 points and Jimmy John's on Baxter Street. Accepted items include: used binders, paper, pens, highlighters, pencils, etc. If you think there is a use for it by a classroom teacher, please consider donating to this worthy event. The Teacher Reuse "Store" is a one-day event where teachers in Clarke, Oconee, Madison and Oglethorpe counties can "shop" for items needed in their classrooms – AT NO CHARGE. All items are donated to the event and given freely to the teachers. Art supplies? Stencils? You name it, teachers will use it! For additional information or questions about possible pickups of large amounts of material, please call the ACC Recycling Division at 706.613.3512. Tragedy struck Athens and the national music community in the summer of 2009, with the burning of the historic Georgia Theatre. The Theater is known for the inception and featuring of notable artists including REM, Widespread Panic, The B-52's, Sound Tribe Sector Nine, and many more who performed there, as well as being the centerpiece of music in Athens and the region. Additionally the building has a thick and endearing history independent of its musical following. In response to this catastrophe, filmmakers Eric Krasle, Jacob Kinsman, and Andrew Haynes united for the production of the film "Athens Burning," a comprehensive High Production Value HD Video Documentary of approximately 80 minutes centered around the history of the historic venue; also thoroughly covering the history of Athens Music Scene from the 1970's until present, particularly with regard to links to the Georgia Theatre. The film opens with the scene after the burning of the Theatre in Summer, 2009 and then moves chronologically from the 1970's through the rebuilding of the Georgia Theatre. 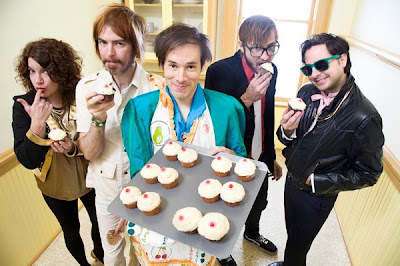 The film features notable artists who performed at the venue over the years, the players in the music scene and at the Theater over the decades, the fire, the fundraising, such as benefit shows and community efforts, and the rebuilding. This non-traditional type documentary covers some bizarre subjects, like the search for a masonic treasure under the building, the nightmares of its horrified owner after the fire, and the quirky scene in Athens, Georgia, where many in the South spent their college years and look to for musical inspiration. This project is the official documentary, endorsed and raising money for the rebuilding of the Georgia Theatre, and has been covered enthusiastically by CNN.com, and The Atlanta Journal Constitution, among other media. We have funded the production of the entire film independently. We are down to our last leg of post-production. We are asking for your help now to fund our final step, which is the theatrical release. As a stipulation, the theater is requiring that we spend $3500 on marketing and promotion. With your help, we can get this film released in a legitimate first-run cinema. And with the money raised from this release, we plan on using it to print the DVDs. Christmas Parade -- Dec. 2! Athens Christmas Parade, Dec. 2. Oconee County, GA Politics: Daniel Johnson Matthews, Senior ~ b. Feb. 14, 1930...: "Daniel Johnson Matthews, Senior died on his beloved Druid Hills, Georgia hilltop after a fine life indeed a few hours earlier this evening w..."
OnlineAthens.com has an article about the police officers who work downtown. I was encouraged to read the quote from Lt. Melodi Bennett which says that "We screen the officers because we don't want hotheads down here." It has been a common perception in our community that the Athens-Clarke County Police Department has a number of courteous professionals on its force but also a number of power-trippers, and it has been understood that the unprofessional officers are usually found working downtown at night. I am glad that the administration of our police department is aware of the problem and addressing it. Now if someone can pass along news of any steps taken by the University of Georgia to improve the culture of its own police department, I would be glad to hear it. ultrafreshmusic.com: Go-Go Boots Preview Episode - Drive-By Truckers: "Go-Go Boots Preview Episode - Drive-By Truckers from Drive-By Truckers on Vimeo.Patterson Hood previews the upcoming Go-Go Boots episodes. ..."
ultrafreshmusic.com: Watch The FourCoursemen Television Special On Cook...: "Watch The FourCoursemen Television Special On Cooking Channel November 22nd!!!" The blog "This Day in Athens" shows advertisements for a Clayton Street milliner. Photos of work at the Georgia Theatre can be seen in the set "Georgia Theatre Steel" by Ric Wallace. UGA Alumnus and Macon resident Richard J. Hutto (AB, '74) will read from his latest novel A Peculiar Tribe of People: Murder and Madness in the Heart of Georgia Thurs., Nov. 11, at 4 p.m. in the UGA Main Library Reading Room. Hutto will sign copies of his book, and refreshments will be served. ultrafreshmusic.com: Lera Lynn- Bobby, Baby: "Lera Lynn- Bobby, Baby from S L O W R e c o r d s on Vimeo." ultrafreshmusic.com: Georgia Theatre rebuilding, slowly Athens' histor...: "Georgia Theatre rebuilding Click here!" I just wanted to let you know about my new art page. I will be sharing art news, exhibit info, as well new artwork there. I am consolidating all of my art stuff here and moving it away from other spots around the web. The page is public -- you do not need to "Friend" me to see it. thanks and thanks for this moment of shameless self promotion. This was a nice walking tour with just the right mix of history and stories of a ghostly nature. I just don't understand why miscreants enjoy destroying pumpkins in the fall. This item reports that two men were arrested for smashing four pumpkins at Milledge Avenue Baptist Church early Sunday morning. There was a sign announcing that the pumpkins were being sold for charitable purposes, and the previous Sunday afternoon I watched over a dozen members of the congregation, young and old, taking the care to unload them from a trailer and arrange them on the lawn. Destroying a church's property is a pretty low thing to do, so I'm glad these guys were caught. Friday Informal Community Forum:Who is College for? Free! Exercise for your Civic Muscle! a civic engagement program of the Russell Library hosts community deliberative forums on a monthly basis to explore challenging public issues in a deliberative, civil way. the students who want to enroll. More and more students attend college part time, bear a greater share of the cost of education than ever before, and subsequently assume higher levels of debt. Based upon current census data and enrollment trends, greater than 2.3 million more students will attend college by 2015. Our current system is not prepared to meet the growing demand. As it stands, colleges and universities will be forced to make difficult decisions about who should come to college. When spaces are limited, what are the most equitable ways to admit students? In this community forum we will explore this complex issue by working together to understand the issue better. With help from trained neutral moderators we will look at several possible approaches to crafting a 21st century mission for public education and consider both the benefits and consequences of each approach, as well as possible trade-offs. Finally, we will explore possible actions that might make a positive difference in our community. Throughout the forum we may find some areas of agreement among us, just as we will likely clarify areas where our beliefs and perspectives differ greatly. This robust and civil threshing of the tough public issues that we face is the foundation for vibrant and resilient community. This forum will use the deliberative issue guide developed by the National Forum on Higher Education for the Public Good. is located in the University of Georgia Main Library Building just off South Jackson Street in Athens, GA. Parking is available in the North Campus Parking Deck also on South Jackson St.
Athens Transit and UGA Bus Service both serve the main library via the bus boarding zone on South Jackson Street. The Russell Library maintains its own entrance on the West side of the Main Library building. Follow the path/steps down the right side of the main library building (the west facing side) and down the stairs to access our door. If you need handicapped access, please go to the main entrance of the Library and check in at the security desk. Jill Severn at 706-542-5766 or jsevern@uga.edu. Please forgive cross-postings and please share with colleagues, neighbors, and friends. In the South, the political landscape is constantly evolving and provides a fascinating topic for study. The lecture will take place at 7:00 p.m. on Monday, Oct. 18, in the Library’s auditorium, as part of the activities surrounding the October selection for the discussion group, Robert Penn Warren’s “All the King’s Men,” the 1946 novel detailing the dramatic rise of a fictional Louisiana governor, Willie Stark. Bullock holds the Richard B. Russell Chair in Political Science and is the Josiah Meigs Distinguished Teaching Professor at UGA. The author, co-author or co-editor of 25 books and more than 150 articles and consultant to many attorneys general and state and local governments, Bullock is a recognized expert in his field of political science. The Athens-Clarke County Library will partner with the Lyndon House Arts Center in an innovative collaboration to develop new services and programs for the aging baby boomer population, born between 1946 and 1964. The partnership will include local baby boomers as advisers who will help guide the project to meet the needs of this target audience. The goals and objectives are to provide lifelong learning opportunities for and by older, active adults and expanding museum and library services beyond existing walls. The partners will generate new users through creative use of new technology, employing live webcasts and a video archive of these programs. The project will develop a best practices model to engage boomers in the work and mission of libraries and museums in their communities. ultrafreshmusic.com: Collective Effort - Crazy Things Free DL and video...: "Check this hiptronia album for featuring Jay Murphy (Up Until Now) and Immuzikation (Koroma). DL Free @: DL HERE!!!! Thanks 1320 records. ..."
Bicycles and skateboards are not allowed on sidewalks in downtown Athens but they may be ridden in the street as part of the parade. ultrafreshmusic.com: STS9 Live DJ Set - Georgia Theatre Benefit with Mi...: "Time Saturday, October 23 at 2:00pm - October 24 at 2:00am Location Spring Valley Eco Farms 1695 Spring Valley Road Athens, GA Created By..."
Don't miss the opportunity to purchase slightly damaged books from the University of Georgia Press at obscenely low prices. Subjects include fiction, poetry, African American studies, American and Georgia history, civil rights history, Civil War history, decorative arts,ecology, environmental history, field guides, folklore, natural history, and southern studies. Thousands of books, most priced under $5. Hourly paid parking at the Tate Student Center Deck and the Hull Street Parking Deck. Another well written letter from Dr. Robert Wyatt, this time showing what Dr. Paul Broun Jr. is all about. Did Saxby Chambliss aide leave threatening slur? Republican homophobia strikes home near Bomber City - could this be a game changer in Isakson - Thurmond Senate race? What is the 21st Century Mission for Our Public Schools? Russell Forum for Civic Life in Georgia, a civic engagement program of the Russell Library hosts community deliberative forums on a monthly basis to explore challenging public issues in a deliberative, civil way. How do we ensure that our schools are accessible to all children? By what means do we hold students accountable for learning and schools accountable for teaching them? What is the role of families in the education of their children? What is the responsibility of schools in addressing social issues that affect their students? What is the most efficient and fair way to fund public education? Underlying all of these questions is a more basic one: what is the mission of our public schools? In this community forum we will explore this complex issue by working together to understand the issue better. With help from trained neutral moderators we will look at several possible approaches to crafting a 21st century mission for public education and consider both the benefits and consequences of each approach, as well as possible trade-offs. Finally, we will explore possible actions that might make a positive difference in our community. Throughout the forum we may find some areas of agreement among us, just as we will likely clarify areas where our beliefs and perspectives differ greatly. This robust and civil threshing of the tough public issues that we face is the foundation for vibrant and resilient community. The Russell Library is located in the University of Georgia Main Library Building just off South Jackson Street in Athens, GA. Parking is available in the North Campus Parking Deck also on South Jackson St. Athens Transit and UGA Bus Service both serve the main library via the bus boarding zone on South Jackson Street. TXMI 5810/7810 Historic Collection Management have their first historic dress exhibit on display in Barrow Hall Gallery (2nd floor). It is "Inside the Box: Assorted Chocolate Fashion." Lots of wonderful garments and accessories from the 19th and 20th centuries - some children's garments as well. Chez Bo is an 1858 antebellum mansion (approximately 5,000 sq feet) about 25 minutes outside of Athens, GA. in Bowman. The home sits on 1.98 acres with a pecan grove, two barns and a koi pond. It has hardwood floors, six fireplaces, pocket and French doors, a solarium, clawfooted tubs, wainscoting, 14 ft. high ceilings downstairs, rocking chair front porch, leaded and stained glass windows, 5 bedrooms, 2 baths, breakfast room, formal dining room, and absolute peace and quiet. The hand painted detailing on the walls and trim in the downstairs formal dining room, entry, master bedroom and living room is priceless. There are several state parks with golf courses, lakes, rivers, hiking and horseback riding trails just a stone's throw from the house. Swim in the Broad River just five minutes away. Walking distance to quaint downtown and Berryman's restaurant is right across the street, and so close to Athens, Savannah and Charleston. The Ty Cobb museum and Lake Hartwell are just down the road. The large entryway is expansive and inviting. The front door is solid leaded glass, with iron detailing and boasts original hardware, crank doorbell and working skeleton key. It leads to four different rooms – to the left is a parlor or sitting room with pocket doors; to the far right is an expansive solarium with French doors as well as an entrance to the master bedroom’s private office or sitting room; straight ahead is a set of French doors leading to the grand staircase and hallway to the downstairs master bedroom and kitchen. The entryway also has a beautiful green tiled fireplace and original built-in cabinetry. The parlor has two sets of pocket doors and a white tiled fireplace. Two large windows are detailed with leaded glass. All lighting fixtures are original. The dining room is everyone’s favorite room. It has tiger oak “judge’s” paneling and wood detailing on ceiling. Chandelier is made of brass and it also has six brass wall sconces. Three large windows accent the wall to the left overlooking azaleas, hydrangeas, and many other types of lush foliage. Just off the formal dining area is a casual breakfast room. It has wainscoting, built-in cabinetry, and new overhead light fixture and freshly painted with designer colors. The bead board ceiling, also featured in the kitchen, is stunning. The kitchen, freshly painted to complement the breakfast room, has solid wood cabinetry with brass hardware; it has a brand new stainless steel Kenmore refrigerator and matching dishwasher. Overhead is a brand new ceiling fan. The laundry room is adjacent to kitchen and is equipped with a brand new HE washer and dryer. It is also freshly painted. There is a back door/service porch adjacent to the laundry, kitchen and breakfast room. It also has a dog door and fenced in play area for small to medium-sized dogs. The master bedroom has a fireplace, large windows, private office and large bathroom with a linen closet. All rooms have fresh paint and the office has been completely overhauled with wainscoting. Just outside the master in the hallway that leads to front entry, formal dining and service porch is a beautiful, all original stained glass door. Overhead is another lovely brass chandelier. The dramatic turning staircase is made from hand carved wood, and leads to the expansive upstairs hallway, four bedrooms, a bathroom, a veranda and another sun porch. Hallway is carpeted though all bedrooms have painted wood plank floors. To the right is a large bedroom with a fireplace and mantle. It has two large closets and a door leading to a SECOND BEDROOM that could be use as an office, sitting room, nursery etc. It also has a fireplace and a mantle, all freshly painted with bright and clean colors. The third bedroom is to the left and faces the front of the house. It is large and has views of the quaint downtown square, as well as a closet that leads to the 200 sq ft attic with dormer windows. This could be refinished for an office, kids play room/bedroom or used for storage. The fourth bedroom is just to the left at the top of the stairs. It is the smallest of four bedrooms but boasts its own large private sun porch that could be made into a third bath, office or sitting room. It also has a large walk-in closet in addition to a normal sized closet. The upstairs bath is small but boasts a six-foot claw footed tub that is just heavenly and so romantic – there’s room enough for two. A few of the flowering plants blooming outside the house include: azaleas, a glorious snowball hydrangea, Camilla bushes, dogwood trees, trumpet vines, wisteria as well as a fig tree, at least 16 producing pecans, and a grapevine. AC: No – not needed. No cats have lived in the house in at least three years and it has been maintained as a non-smoking house with strict “no shoe” rules. On September 18th the Loco Mow Down will feature your home town Classic City Rollergirls as they take charge of the track against the Chattanooga Rollergirls from Tennessee. We’re asking all of our beloved derby fans to "get on board for the animals!" Our outreach and charity focus for this bout will include local animal related services and organizations. You can help by bringing any of the supplies in the list below for the local pet food pantry. These items will go to shelters and rescue organizations to help care for animals in need. Don't miss the chance to meet some of our “wildest” fans at the exotic animal exhibit and demonstrations provided by the professional and volunteer staff of Bear Hollow. Exhibits will be available before the bout, from 6-6:45, and during halftime. Volunteer trainers from Canine Companions for Independence will be joining us with one of their rising stars, "Joey." CCI volunteers will also be promoting the Athens Run for the Dogs which takes place Sept. 25 at Sandy Creek Park in Athens. Donations you can bring to the Loco Mow Dow and "get on board for the animals!" Don't forget that LA Derby Doll's May Q. Holla (and bestselling author Pamela Ribon) will be conducting this ride and calling out all the plays with Athens' very own Sweet Willy T-Bag. The action begins at 7pm (doors open at 6pm) at Skate Around USA, 3030 Cherokee Road, in Athens. Roller Derby is family friendly so bring the kids! Admission at the door is $10 for adults, $5 for children 6-10, and children under 6 are free! Adult tickets can be purchased in advance for $8 through any rollergirl or through Brown Paper Tickets (https://www.brownpapertickets.com/event/124418). Please also join the rollergirls for the after-party at Alibi. Free IT Athens is in need of unused computers with a Pentium III or newer processor and PCI graphic cards. Many of you know or have already worked with our non-profit. We refurbish older computers and uninstall the Linux Ubuntu OS on them and sell these sell the machine ($25) along with a monitor, keyboard, and mouse to individuals in the community who need a computer. These computers usually go to children or students. There are several Free IT Athens volunteers who work or go to school on campus. We've agreed to pick up your computer here on campus if you are unable to make the drop during our open hours at the Action Building (594 Oconee Street): Sundays from 1-5pm and Wednesdays from 6-8pm. If you have a donation, please email me. I will coordinate with a volunteer and we can meet for a "car swap" between 4pm and 5pm at various parking stations around campus and provide a receipt at that time. Please remember these must be personal items only and not owned by the university. Overdue materials checked out from the Athens Regional Library System can still be returned without late fines through September 6. This fine forgiveness program started August 22 in a special effort to get items returned for other patrons to enjoy. Getting late items back on the shelves is especially important due to this year's budget cuts that have reduced the number of new items that can be purchased. The forgiveness does not apply to other fees for things such as lost or damaged books. I attended the mayoral candidate forum hosted by the Clarke County Republican Party last Saturday evening. I enjoyed conversation along with the barbecue that was provided. The event was held outdoors where the weather stayed pleasant, and the candidates were seated in rocking chairs near a backdrop painted with what looked like a Revolutionary War scene. Hearing the candidates speak only confirmed my observation that making a choice in the mayor's race is going to be difficult because we have a number of qualified and passionate candidates seeking the office. The floor is open for comments here. [August 26, 2010] Low levels of chemicals continue to be found in creek water downstream from the site of a burned chemical plant in Athens-Clarke County and as a result, the Georgia Environmental Protection Division (EPD) will continue to test water quality in the area. The J&J Chemical Co. plant caught fire July 28 and runoff from the firefighting carried the chemicals paradichlorobenzene and formaldehyde into nearby Trail Creek, which flows into the North Oconee and Oconee rivers. The runoff also contained a nontoxic blue dye, which the company used to produce a toilet bowl cleaner. The latest test results show levels of formaldehyde at 350 parts per billion (ppb) and 240 ppb at Olympic Drive and Dudley Park, respectively. Those levels are higher than samples taken a week earlier and may be the result of rain washing chemicals from low lying areas along the creek. Paradichlorobenzene was measured at 170 ppb at Olympic Drive, but was not detected at Dudley Park. While chemical concentrations at those levels do not pose a threat to human health, EPD will continue to recommend people and pets stay out of the creek. EPD also has completed another round of testing for the city of Greensboro drinking water system. The latest results, like the earlier samples, did not show the presence of chemicals. Greensboro's drinking water taps are closest to the plant site, although they are 23 miles downstream and across a portion of Lake Oconee. EPD also has approved the company's site remediation plan, which explains the measures the company will take to properly clean up the soil contamination on the property and the sediment in the creek. The site remediation is expected to be completed no later than January 2011. What are choices for highspeed internet in athens? Just looking at options right now. The next show in the Hotel Indigo's Go Green Summer Music Series is coming up, and it's one you won't want to miss! Art Rosenbaum will perform next Thursday, August 12 at the Rialto Room. Art Rosenbaum is a Grammy-winning collector and performer of traditional American folk music. He is equally renowned as a painter and muralist, and is emeritus professor of drawing and painting at the UGA Lamar Dodd  School of Art. More information about Art and his work can be found at http://artrosenbaum.org/. Thank you to our friends at Hotel Indigo, and we hope to see you at a concert soon! There have been four recent thefts of motorcycles where the suspect has contacted private sellers from Craigslist, arranged to meet at a certain location, asked to test drive the motorcycle, and never returns. In each instance, there has been two black male suspects and the meeting place is in close proximity to accessible dirt trails. The thefts occurred on June 26, July 18, July 20, and August 5. The potential buyers have been discrete about their identity and used multiple phone numbers in setting up the original meeting. Sellers should be aware of potential scams, discourage meeting in unfamiliar areas, and use caution in allowing unknown persons possession of personal property without first positively identifying potential buyers. Anyone with information on or contact with such individuals or transactions is asked to contact Det. L. Glenn at 706-353-4218 ext. 138. This past weekend was one of the more deserted weekends in the ATH due to the break between summer and spring semesters at the University of Georgia. There were noticeably fewer people milling about downtown and more available parking spaces. On Saturday night I actually found a free table at Trappeze. I suppose this was the calm before the storm, however, since people are counting down the days before college football season. And it appears that people are moving back into town already because I noticed that a local U-Haul location has parked a lot more trucks and trailers than usual. This is part of the cycle of activity and population in our town. Showtime! Outdoor movies make a return appearance at Southeast Clarke Park, located at 4440 Lexington Road, on Friday, July 30 with the summertime classic The Sandlot. Bring blankets and lawn chairs. Fun begins at 7:00 p.m. including music and outdoor games. The movie will be presented at approximately 9:00 p.m. This event is FREE and open to the public. The rain date is Saturday, July 31. July 26, 2010 -- The Borders on Alps Road has launched a book drive as part of a chain wide effort to increase literacy and support the needs of the community. From now until August 30, store associates will encourage customers to donate new books, DVDs and CDs. The store has partnered with the Athens Regional Library System, which will receive and distribute the donated books to their associated libraries in and around Athens. In response to continued budget challenges facing our public library system, Borders is proud to offer this opportunity for customers to directly support such a vital institution in our community. All donated items will remain in the Athens area, and help ensure that knowledge and entertainment remain accessible to everyone in our community. This is the first book drive Borders has held in partnership with the Athens Regional Library System. During the book drive it held last March, the store collected approximately 1500 books and plush toys, and provided them to Athens Regional Medical Center and St. Mary’s Hospital. The company as a whole delivered more than 600,000 titles and 85,000 stuffed toys to kids in need nationwide. We are expecting 24 clubs running 53 teams for a total of 250 dogs! The best part is that it is all being held indoors with the A/C on! If you do plan on coming please leave any spectator dogs at home. Thanks! You can read all about the sad tale here. Their eyes were not open when they were found, which makes it more amazing that they survived (although there were 3 and one did not make it). ACC received the two remaining sisters, now named Yonah and Athena. Athena is larger with a white spot on her chest (hope I didn't get that backwards, but some of you zoo folks will correct me, I'm sure). but aren't they just cute? Picture This... During the month of July, email your digital photo in the Summer Photo Contest. The chosen photograph will win a prize and have the photo displayed on www.accleisureservices.com. Photos should be emailed to mylaneal@co.clarke.ga.us. The submission deadline is July 30. The winner will be announced July 31. For more information, please call (706) 613-3580 or visit www.accleisureservices.com/july.shtml. Plotluck Night at Cine. Weds, June 30, 7-9.
also a reminder, athfest is coming up! Friday, June 25, 11:00 a.m.
Saturday, June 26, 11:00 a.m.
Sunday, June 27, 11:00 a.m.
Once again the Athens Music History Driving Tour will be led by local ‘scenester’ and former Side Effect, Paul Butchart on the Athens Welcome Center’s Classic City Tours bus. The tour will explore the sights and sounds that cultivated Athens’ rich musical heritage. Paul knows the scene well and has many great stories to prove it. Stops include the Murmur trestle, the “Sidewalk of the Stars,” and Ricky Wilson’s grave. Approximate running time is two hours. The tour will depart from the KIOSK on Washington Street in front of City Hall at 11:00 a.m. on Friday, Saturday, and Sunday of AthFest. Tickets are on sale at the Athens Welcome Center or at the KIOSK. Space is limited. Call 706-208-8687 for your reservation. Ken Will Morton "Tell It To The Wind"
There is an owl on Dearing Street. I heard it last Friday night, and a colleague of mine saw it tonight. I don't know anything about owl species, so I can't tell you what it is. But if you know anything about this owl, make some comments for us. 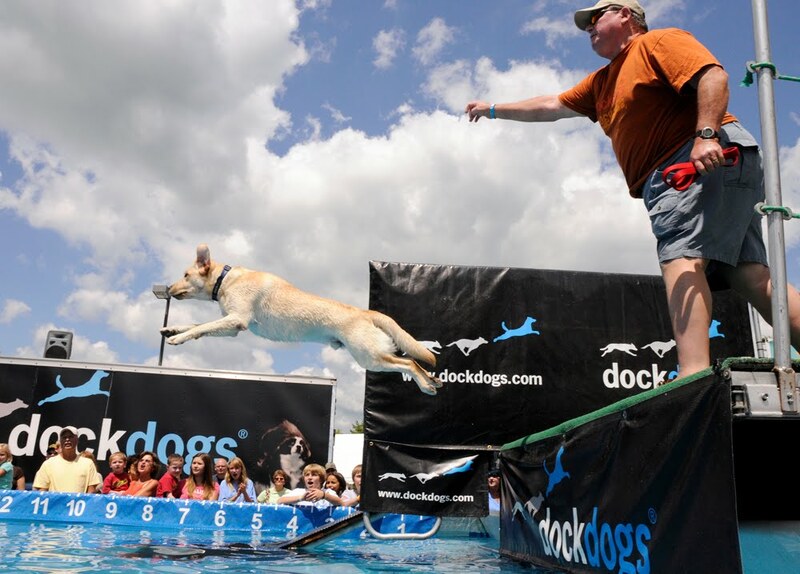 Dixie Dock Dogs to host regional dock diving competition at Oconee Veterans Park. 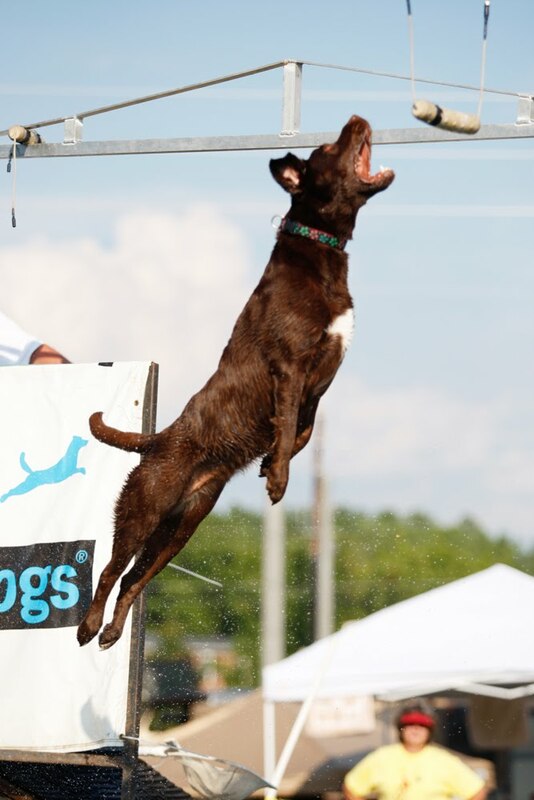 Some of the top ranked dogs in the sport of dock diving will compete July 2-4 at The Great American Dawg Jump in Watkinsville, Georgia. Dixie Dock Dogs, a non-profit organization benefitting various canine charities, is producing this thrilling event which features dogs jumping great lengths to splash down into a pool of water. Covering the entire state of Georgia, Dixie Dock Dogs is affiliated with the national organization DockDogs. The competition will be held at Oconee Veterans Park on Hog Mountain Road. Bill Akin of Watkinsville, and president of Dixie Dock Dogs, is very excited about the club hosting the upcoming competition. "This is our first dock diving event here in Oconee County, said Akin. "We're sure it will be a fun time for everyone, people and dogs alike…something for the entire family." According to Akin, a regulation 40' dock and 40' x 12' pool of water will be brought onto the park property. Dogs from all over the country will come to compete in the three sporting disciplines of DockDogs: Big Air, which measures the length of their jump, Extreme Vertical, which measures the height, and Speed Retrieve, which measures how fast they run, jump and swim. "It's an awesome sport," said Nancy Akin, also of Dixie Dock Dogs. "Our own team of Labrador Retrievers, known as Team 4 Dawg Flite, has been to DockDogs competitions from Florida to Missouri to Ohio to Maryland, and all stops in-between. We are so excited now to share this sport with the Oconee County community." The Akins report they are expecting over 100 dogs to compete in the 3-day event. Dock diving is a sport for any breed or any size dog, and everyone in this area is encouraged to bring your dog out to give it a try. Dixie Dock Dogs will have Practice Coaches available to show interested attendees dock diving strategies and give tips for getting started in the sport. If you would like to have your dog participate, you can register online at DockDogs.com. If you just want to attend the festivities without having your dog participate, registration is not necessary. For more information about The Great American Dawg Jump, please visit DixieDockDogs.com. You can also contact Nancy Akin at 706-540-9395. The Athens Area Homeless Shelter is in full swing this summer! From enrolling our kids in camps to welcoming new participants to our JobTREC program, we are busy providing vital services to homeless individuals and families in Athens. http://tinyurl.com/382do3f Click here to read our latest newsletter. Inside, you'll find stories about how the Athens community is providing hope to the homeless through their service and support. volunteer@helpathenshomeless.org any time you are interested in serving. Our latest newsletter also features a list of community partners and supporters that have made our work possible during the spring months. Check out our supporters! If you know someone that would like to hear about the work of AAHS, let us know! Forward this email to them and tell them why you care about the homeless in Athens and why you support AAHS. Come and see what good bargains you can find!!! Hope to see you there! I thought I was alone as I was walking down steps and about to cross a parking lot. I sneezed twice, and from behind a line of trees and shrubbery I heard a woman's voice say, "Bless you!" Surprised, my only reaction was, "Ha, thanks!" I don't know where she was or what she was doing there, but it is certainly wacky to respond to a stranger's sneeze at such a distance through a vegetative buffer. Anecdotes like these are why I started Athens World, right? The Athens Pirates Baseball team will open their season on Sunday, June 6th at 4:00 at Cedar Shoals High School baseball field. This is a double header against the Ty Cobb Reds. Admission is $5 and 12 & under are free. Come out and support the Pirates! Library survey -- your opinion matters! The Front Porch Bookstore will be hosting a summer music series throughout the summer. Bring your blankets, chairs, snacks, and your enthusiasm for good music. Relax on the front lawn of the Front Porch Book Store as popular local musicians perform for your listening pleasure. The artists are performing for free - tips or donations are encouraged. Artists may also have items for sale. Performances are every Saturday June 5th thru Aug. 28th at 6pm. No performances on June 26th or July 3rd. The Front Porch Bookstore is located at 102 Marigold Lane in Winterville. Athens, GA (May 24, 2010) - Classic City Rollergirls gear up for their second bout of the season Saturday, June 5th against Augusta’s Soul City Sirens at 7pm at Skate Around USA in Athens. This bout, themed “Soul City Smash,” will feature powerhouse skaters returning from their thrilling season opener ready for another win. Admission at the door is $10 for adults, $5 for children 6-10, and children under 6 are free. Tickets can be purchased in advance for $8 through any rollergirl or online. Doors open at 6pm and the action begins at 7pm at Skate Around USA, 3030 Cherokee Road, in Athens. Classic City Rollergirls or CCRG is Athens’ all female flat track roller derby team. The team is comprised of local stars and college athletes who want more action than a simple gym can provide. For those unfamiliar with roller derby, a recent movie “Whip-it” with Drew Barrymore showcased this newly revived hard-hitting sport. Although roller derby has countless rules much like baseball or football, the general objectives are simple. Two teams of skaters race around a track to get their point scoring skater, or jammer, past the opposing team. As jammers compete for points, skaters use strategic blocking, power moves and speed to outscore opponents creating a fast-paced, competitive, all-female contact sport on wheels. To watch the Classic City Roller Girls live please come to Skate Around USA on June 5th at 7pm. For more information or to purchase advance tickets you can visit the website at www.classiccityrollergirls.com. Classic City Rollergirls is comprised of a committed group of amateur female athletes from a diverse background. From firefighters to librarians, CCRG is for women dedicated to fun, fitness, and a smashing good time. In addition, the league includes a variety of local referees, team managers, and volunteers which make CCRG possible. Come join the Oconee Rivers Audubon Society on June 3rd for the annual spring picnic held at Memorial Park! Bring a dish of your favorite recipe and come to enjoy the outdoors with us! For those of you who missed last month's meeting, you can take an easy walk down to the area where the Weed Warriors removed over 3 acres of nonnative, invasive plants and see what native plants have sprung up. The Interior Design students at Athens Technical College have teamed up with Brad Stephens Homes to create the second annual Interior Design Student Designer Showhouse. Located just off South Lumpkin St. at 110 Old Princeton Road in Athens, the designer showhouse couples traditional styling with modern conveniences. The showhouse will be open for free public tours on Saturday, May 22, from 10 a.m. until 5 p.m. The showhouse will also be open on Sunday May 23, from noon until 5 p.m. Call (706) 202-2702 for more information. Please email Denise if you or someone you know is able to help with any of these needs. I had no clue there was even such a thing as the Athens Pirates.. Host a College Baseball Player This Summer! The Athens Pirates College Summer Baseball Club is actively seeking Volunteer Host Families for the 2010 Summer Season. There are approximately 20 out-of-state players seeking a family to live with for the summer (June, July 2010). These players are current college baseball players and major league prospects. Special thanks go out to our prior Host Families for their support of our program. We’ll be glad to put you in touch with any of our host families who’ll attest to this wonderful opportunity to get to know a pre-professional baseball player. Each player has his own transportation and a summer job. coach, high school coach, summer baseball coaches, and an area Major League Baseball Scout. Take advantage of this unusual sports opportunity to help a player with professional potential improve his game, and at the same time help your child build on his baseball and people skills. The players will be arriving in Athens the week of May 24th. Below is a list of available plants from the Colbert Animal Hospital ; proceeds go to the Colbert Vet Rescue. Directions, etc. located here. Show your support for the museum and take home some cool stuff! GMOA is having a shop sale this Thursday and Friday, May 20 & 21, from 9 a.m. to 4 p.m. in the Visual Arts Building on Jackson Street. 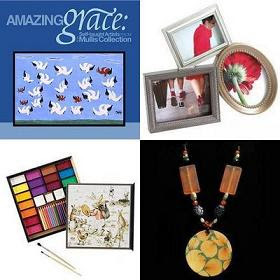 Browse a wide range of unique items, including jewelry, scarves, bags, books, children's gifts & toys, pottery, stationery, home decor and more from the Museum Shop's inventory. Everything will be discounted, with some items as much as 75% off. Email millera@uga.edu for more info. If you're interested, please drop your payment by to Winterville Assisted Living director Sheryee Huff (across from the Post Office on Avery Street off of Main St.) between now and this coming Friday, May 21st. Purchased items can be picked up on May 28th or May 29th. If you have questions, please contact Sheryee Huff at 706-742-5106, shuff@ALCCO.COM This is a busy, nearly full assisted living facility, so it occasionally may take a second try at making contact. As you all know, many students leave Athens in May, and as a result of student organizations being much less active, we have a greater need for dinner volunteers over the summer. This month we still need someone to serve dinner on May 19 and May 27. For those who have not served before, here's how it works. We ask our dinner volunteers to serve the meal at 5:30. Many groups come about an hour early to start preparing the food. Some choose to prepare the food off-site and bring it here. Either way is fine, but we do have a full commercial kitchen if you would like to use our facilities. You'll be serving 20-25 people, so it's best to have at least 2-3 people serving. Bringing dinner is also a great way to interact with our residents and see how AAHS is helping change lives. To book a date or call and talk to McKenzy. 706-354-0423. I realize Campus Cats always could use some help, but this Thursday 5/20 @ 12:30, they have the opportunity to pick up possibly 120 16-pound bags of Friskies Signature Blend dry cat food at the Purina plant in Fairburn, GA. This will feed a lot of local cats! It's a two hour trip each way and bags will need to loaded by hand. They have 1 mini-van and 1 small covered pick-up truck going, but really need another large van or truck (and driver!) to make everything fit. This food can only be used for foster/rescue cats or to feed ferals (as some of you may have noticed, Purina has poured alot of money into advertising their foster/rescue/shelter efforts). When: May 19, 6:30-9:00 p.m. Chef Angela McKeller has been on The Food Network with Paula Deen, asked to be on several reality cooking shows and now, has published her cook book, Passion on a Plate: Affordable and EASY Gourmet. Join Chef McKeller for a book signing and demonstration with free snacks and drinks (prepared by the chef). And all you DAWGS fans - get your red, black and white Kick Back and Kook Couture apron before football season! One lucky attendee with receive a package to include a $5 gift certificate to The Rolling Pin, a FREE "kookbook" and a FREE apron! 10% of all sales benefit The Hope and Light Foundation, funding a cure for the #1 genetic cause of death in children under the age of 2. Invite your friends, plan on having a GREAT time with "The Kook" and get answers to all of your cooking dilemmas so you can start "kooking! After almost 10 years of market research chef McKeller has put together a cookbook that simplifies cooking. As a young girl, chef McKeller was taught by her grandmother, who survived the great depression, how to save money, save time and save waste in the kitchen. Chef McKeller's secret is to stock your pantry full of the must-haves, only buy items at the grocery store you can reuse during the week and a little bit of forethought. It's cooking on a budget. Come explore Monroe from an "outsider's" view. After walking through downtown Monroe, discovering the beauty, texture, and architectural history of the town, René then drew what she saw, and "painted" the designs on the silk - so that she could share it back with the citizens of Monroe. Free IT / recycle old computers, monitors, printers, etc. Do you have a personal computer that is gathering dust? Put it to good use for the community and donate it to Free IT Athens, a 501 (c)(3) (Under Common Ground Athens) non-profit computer support organization. Your tax-deductible computer donation will be refurbished and sold or donated to local individuals or organizations. If your computer cannot be refurbished it will be sold to a regional recycling firm that responsibly recycles e-waste. We also accept printers and single monitors, mice, keyboards, ethenet cords and other computer parts whether they are working or not. Are you interested in taking waste reduction to the next level? If so, come and purchase a compost bin and recycle - Mother Nature Style. When: Wednesday, May 5th, 5:00 p.m. - 7:00 p.m.
All proceeds benefit Keep Athens-Clarke County Beautiful. Feel free to contact KACCB with any questions. restoration project, will talk about the success of the project, including recruiting hundreds of volunteers from throughout Northeast Georgia, eradicating English ivy, Chinese privet, and bush honeysuckle from 3.5 acres, and planting more than 40 native plants purchased with the ORAS conservation grant. Come before the meeting to enjoy our annual FREE PLANT SWAP! Bring your favorite native garden plants and exchange them with plants other people bring. Don't have anything to bring yourself? That's alright, come and see what we have! The UGA Libraries invite you to please join us tomorrow to hear author David Donovan, a triple graduate of UGA, speak about Murphy Station, his new memoir about the American South, at 4 p.m. on April 28 in the Reading Room of the Main Library. Donovan, the pen-name of scientist and professor emeritus Terry Turner, is also the author of Once a Warrior King: Memories of an Officer in Vietnam. Friday (May 7th) - 7pm. All performances will be held at the Commerce Cultural Center in downtown Commerce. You can purchase your tickets at the door prior to the performance. After much trying, I was able to get a picture of the often sighted squirrel with the deformed tail. This was taken with my iPhone so I couldn't get a zoom on it. I'll bring my camera and try to get a better close up of it. The squirrel's tail isn't hairless like a rats, it just has a real thin coating of hair with a little tuft at the end. Not at all a bushy tail. I don't know if it's genetic or environmental. Check it out. Does anyone understand what changes have been implemented for the University of Georgia's online directory of faculty, staff, and students? The appearance is obviously different, and the information that appears is different. And, apparently, the data is different. Out of curiosity I searched my last name -- and found myself appearing in a record that had dropped off years ago. Very curious. Campus Cats will have a booth at the Mustang Market at Colham Ferry Elementary School in Watkinsville this Saturday 4/24 from 8 AM until 2 PM. This will be a great time to shop for Mom's Day! We'll have our tea cup and copper bird feeders, tea cup candles, cat toys, dog biscuits and homemade jewelry for sale to raise money for Campus Cats. Twice a year, the UGA Libraries Staff Association (LSA) conducts a one-day sale of books and media donated by UGA Libraries employees. In recent years, these sales have been joined by a LSA-sponsored Bake Sale, a sort of twofer, a Feed Your Mind/Feed Your Body construct. The proceeds are generally split between the LSA (funds to support our various LSA programs) and a local charitable concern. This time, our local partner is Nuci's Space, a worthy cause serving local body and mind. The pricing structure for the sale will be as in ages past. and VHS/DVD/Computer Games are $5.00. There will also be a few ARC/signed copies of mystery novels available at a premium price. Come prepared to wheel and deal (and also to accept the fixed prices graciously if that's how it sorts out).